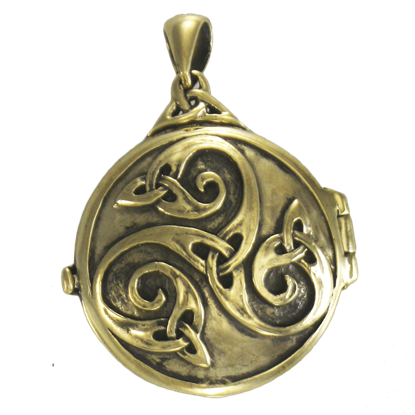 We have the perfect Celtic pendant to complement any outfit. Our Celtic knot pendants can be worn by men, women, and children with the addition of a chain or cord of your choice. 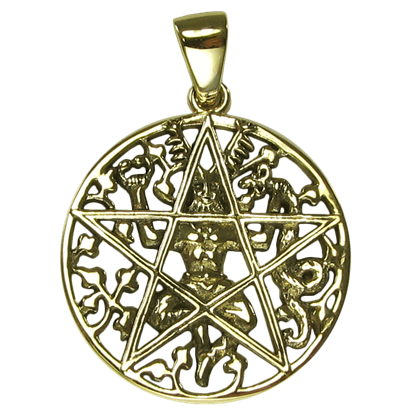 These knotwork pendants do not come with a necklace, but chains can be purchased elsewhere on our site. Crafted from fine materials like pewter, white bronze, and sterling silver, these high-quality Celtic and Scottish pendants are suitable for any occasion and make great gifts. 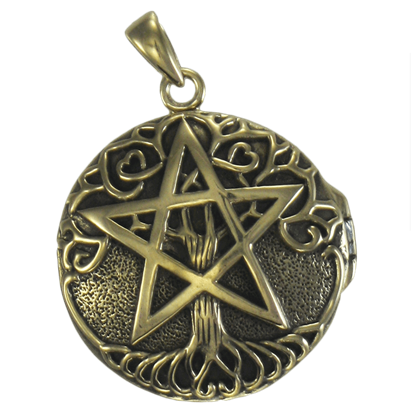 We carry designs like Celtic cross pendants, triquetra pendants, triskele pendants, Scottish thistle pendants, tree of life pendants, Greenman pendants, Celtic cat pendants, shamrock pendants, and many more. Check back regularly to see our latest additions! To the Celts, the stag was not solely a prey animal, but instead a beast of noble bearing, possessed of dignity and endurance. 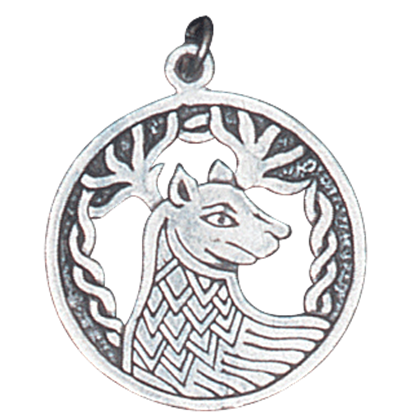 This Alban Elfed Stag Charm Pendant represents all of the stag's qualities, in the form of a pendant to wear. 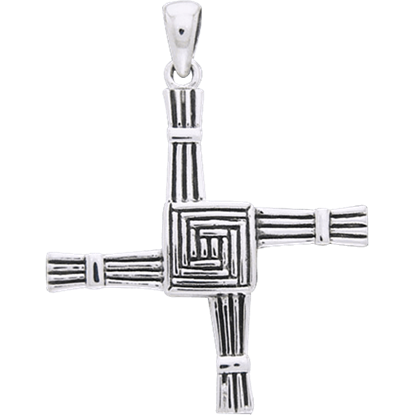 Often made of woven rushes or straw, the Brigid cross arises from the story of one of the patron saints of Ireland. The Brigid Cross Pendant displays a stylized cruciform design with a central square and four radials. 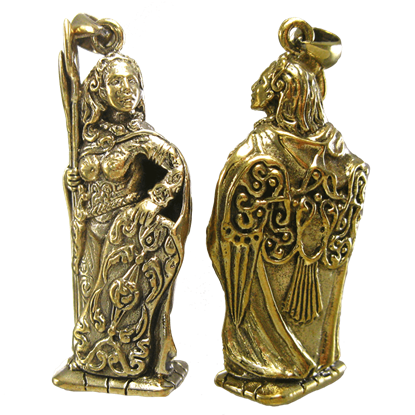 At once a midwife, blacksmith, and poetess, Brigid is a vast Celtic deity who could assist her followers in any endeavor. 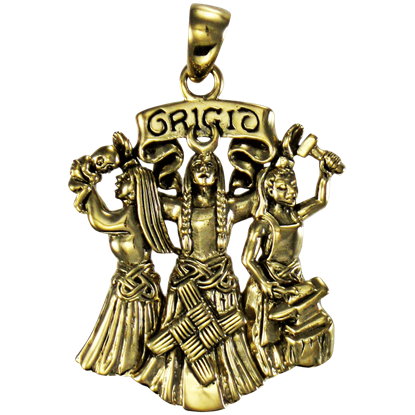 The Bronze Brigid Pendant artfully depicts her as three sisters, each performing one of her unique roles. Lend a little wildness to your days when you wear the Bronze Celtic Knot Stag Pendant. 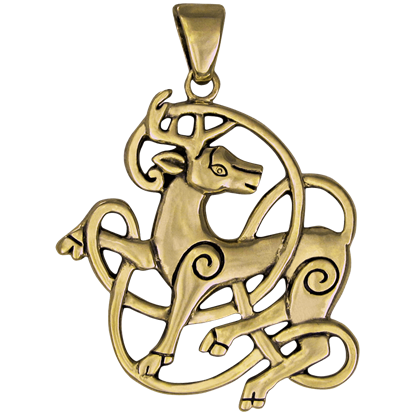 Often a form taken by the Celtic god Cernunnos, the stag here appears as an elegant accessory ready to help you embrace the spirit of the forest. Emblems of the moon in Celtic mythology, wolves were said to represent loyalty, intelligence, and communication. 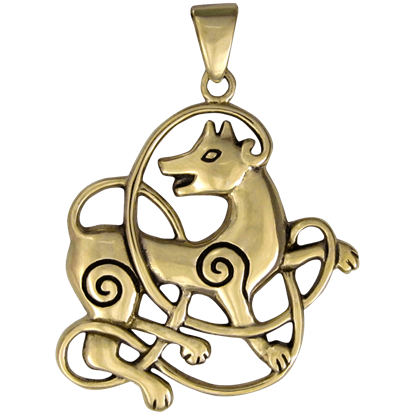 The Bronze Celtic Knot Wolf Pendant depicts an elegant dancing wolf entangled in swirling lines of unraveled knotwork. Known as the God of Fire in ancient Druid myth, Lugh was a Sun God whose name meant Shining One. 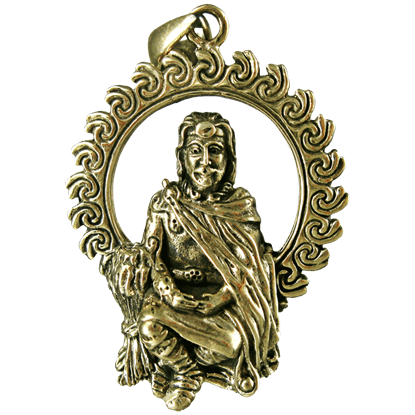 The Bronze God Lugh Pendant depicts the deity with intricate detail, sitting peacefully as he is surrounded by an artistic ring of fire. In practice, the goddess Morrigan can be a great aid to those who invoke her, but to those who offend her, she is a powerful enemy. This Bronze Morrigan Pendant depicts the goddess as she once appeared to the Gaelic warrior, Cu Chulainn. 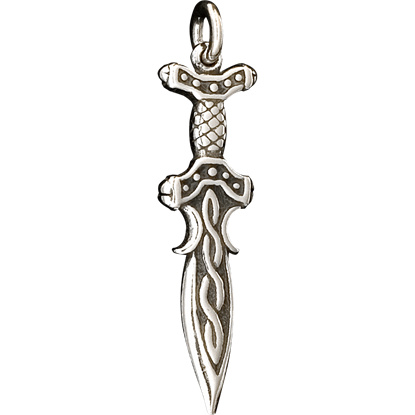 If you have always loved the beauty in knives, then the Celtic 3D Blade Pendant could be for you. This stylish piece of jewelry is modeled after a blade to provide you with a fashionable yet not so deadly accent item. Love is a boundless connection that two people can share for a lifetime. 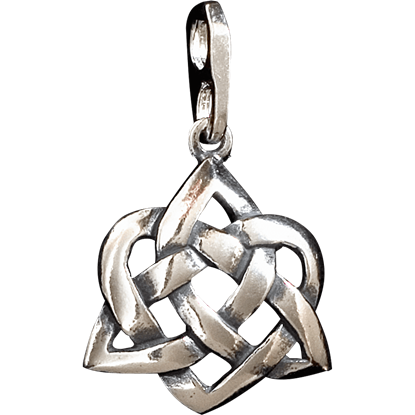 Memorialize that notion with the Celtic 3D Trinity Heart Pendant. This dazzling piece of jewelry is a great gift for someone that you care about.